This quilled birthday card with roses and fringed flowers I made for a family member's birthday. 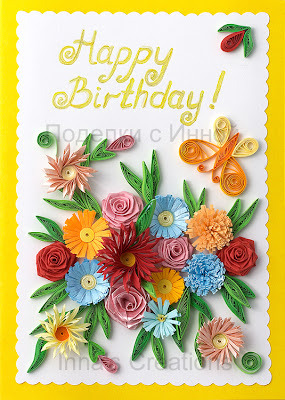 wow........u r the best..all ur designs are so colorful..falling in love with quilling cos of u. 8s nyc and I lyk 8 very much!!.. I just found your website. You have very beautiful work- including this card. Thank you for sharing!